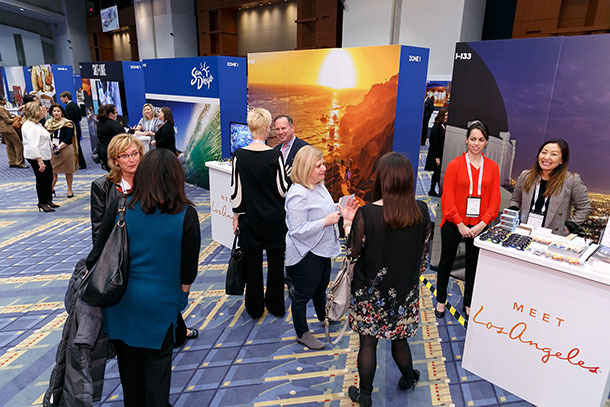 Thank you to everyone who attended 2019 Destination Showcase! Information for the February 2020 event will be posted in late 2019. 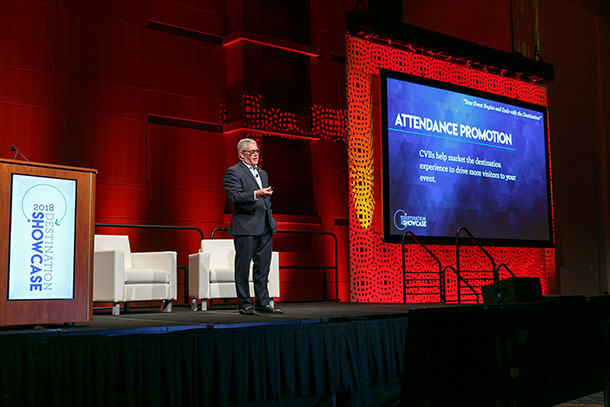 Destination Showcase is North America's only one-day event that connects meeting planners with CVBs so they can better understand how CVBs are the key to making meetings and events successful. 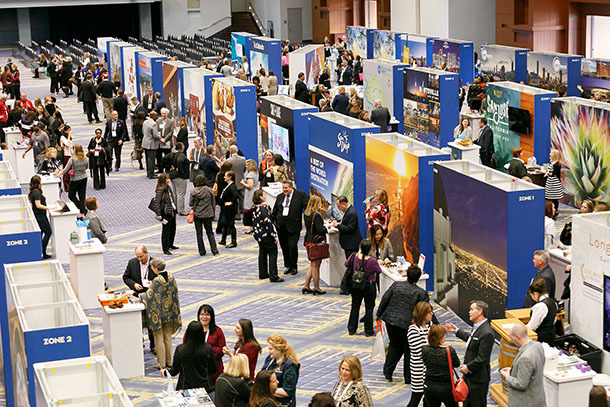 This dynamic show offers Destinations International members the opportunity to connect with the nation's top planners in one location. 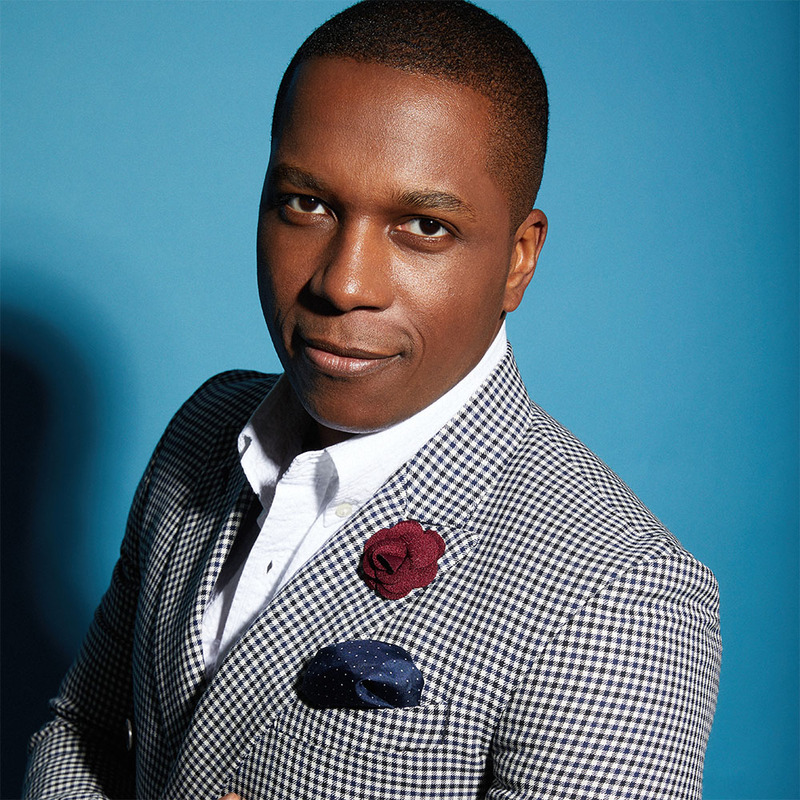 See highlights from past shows below! (1) The show floor consists of unique brandable kiosks that destinations can purchase. 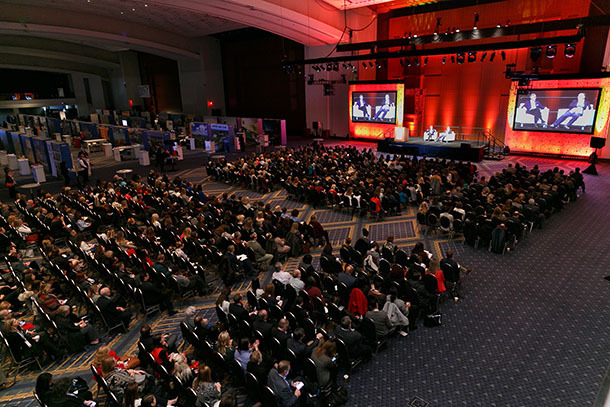 (2) The keynote was headlined by renowned chef and Nobel Peace Prize nominee Jose Andres. 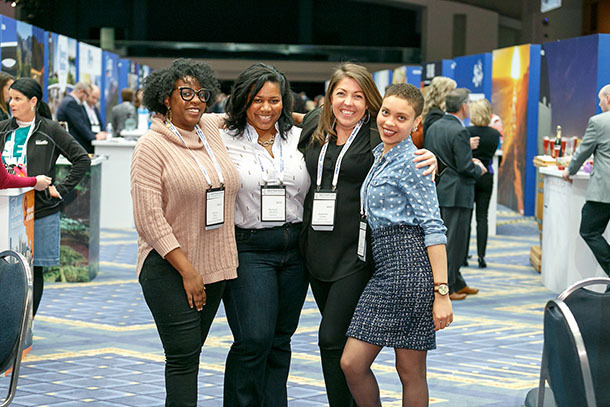 (3) Meeting planners from Experiment, Inc. pose for a group photo. 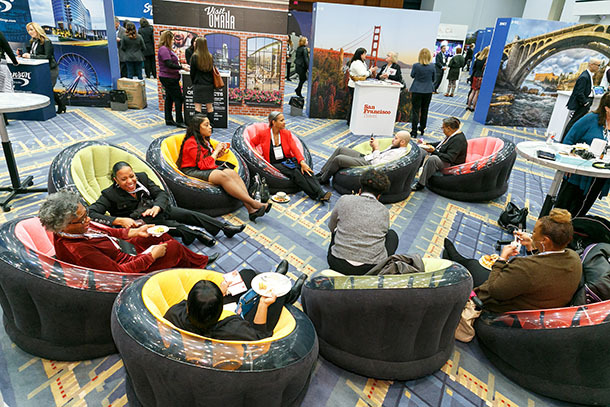 (4) The show floor featured comfortable lounge areas for attendees to network. 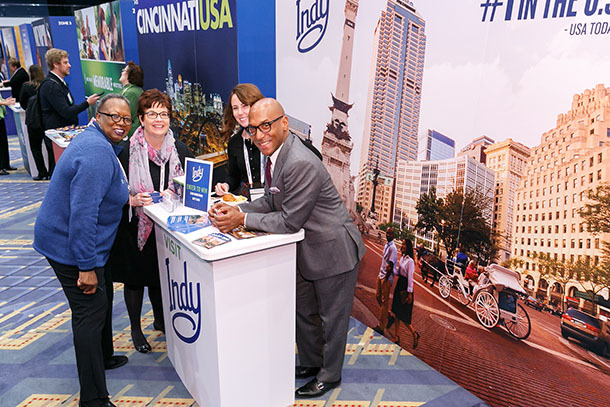 (5) Team Visit Indy gathers for a photo at their kiosk. (6) President & CEO Don Welsh takes the stage to welcome the crowd. 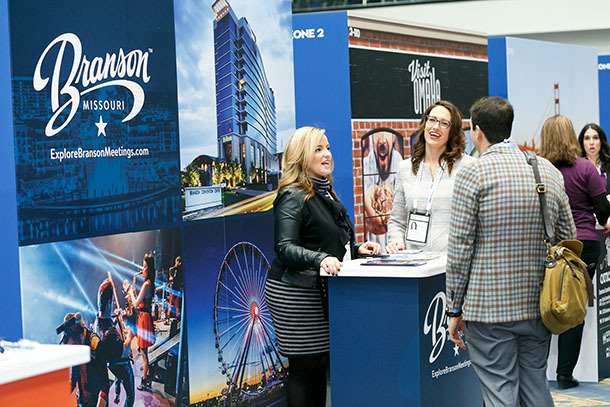 (7) The staff from Branson, MO is busy answering attendee questions. 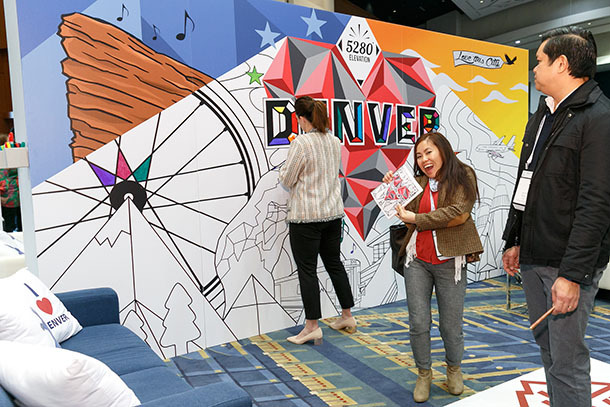 (8) Show floor activities included a coloring wall sponsored by VISIT DENVER. (9) Attendees network on the show floor. 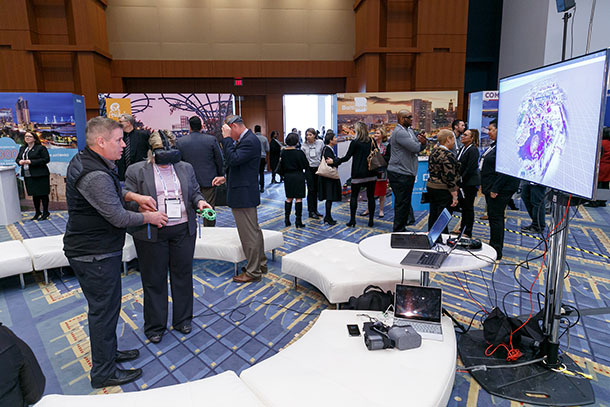 (10) The virtual reality station gave attendees the opportunity to experiment with new technology.